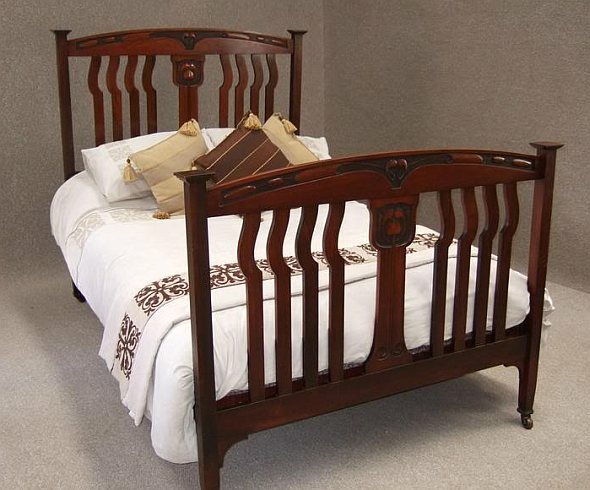 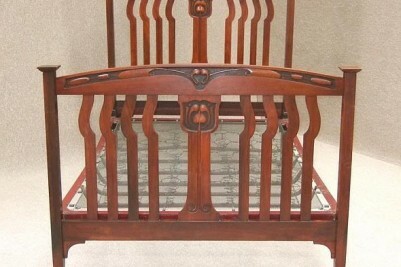 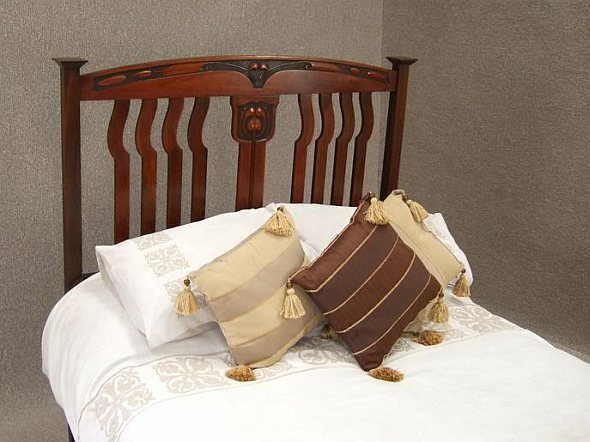 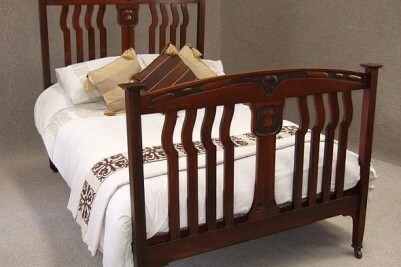 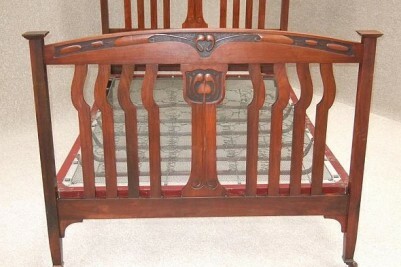 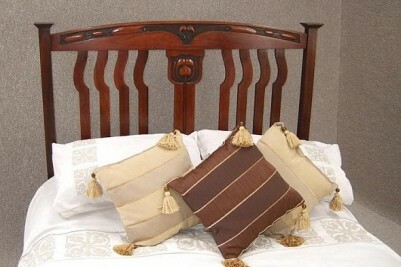 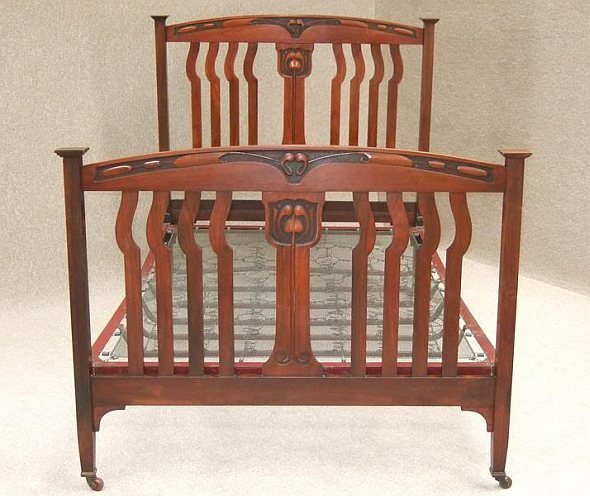 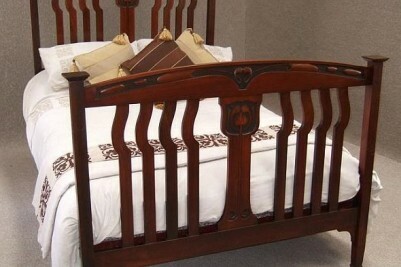 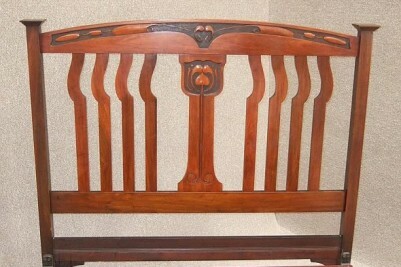 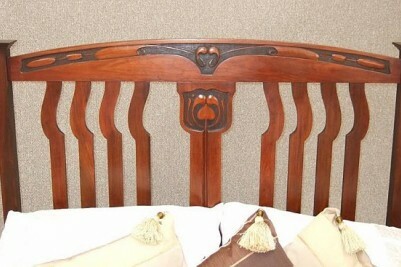 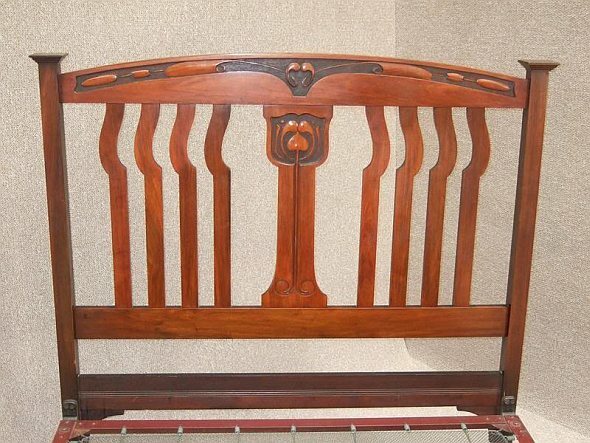 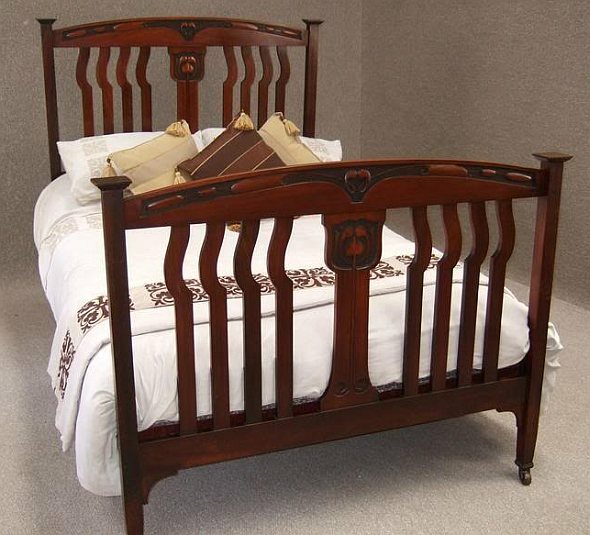 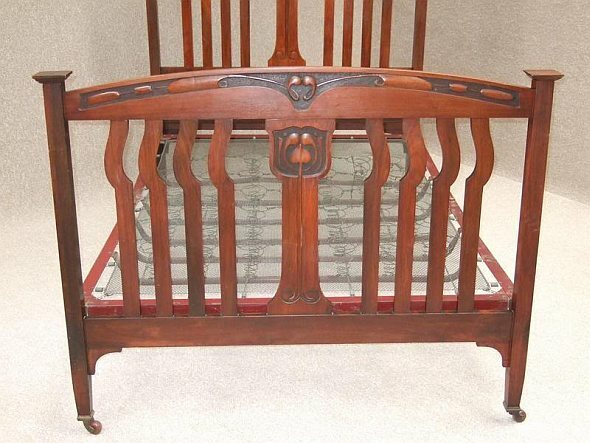 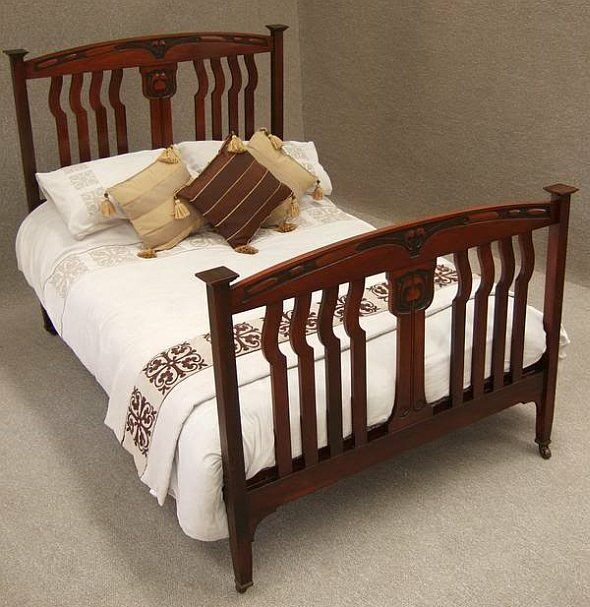 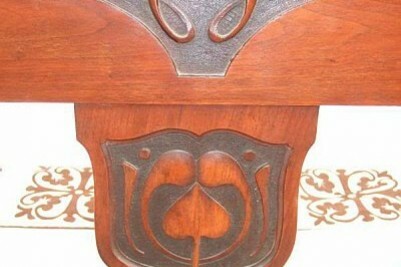 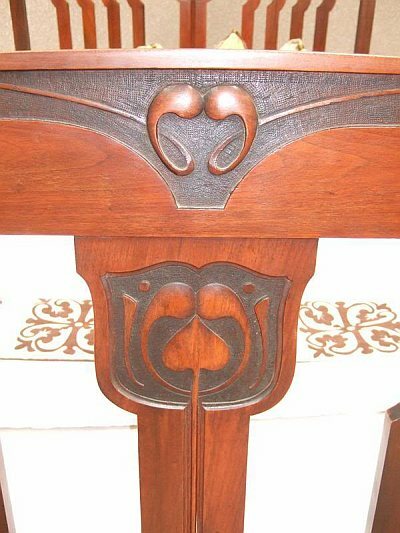 A magnificent Arts & Crafts/Art Nouveau influenced double bed. 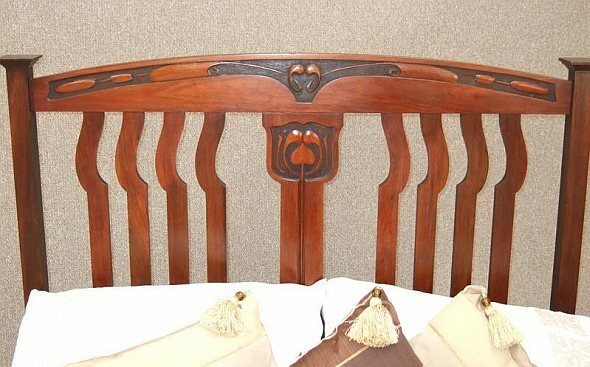 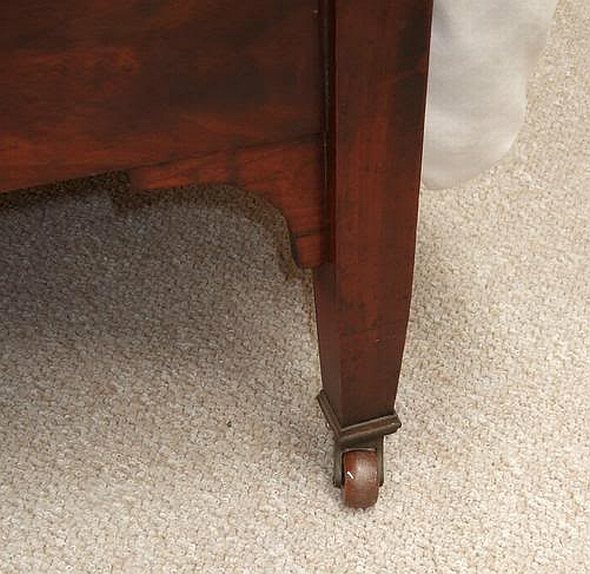 Dating circa 1900, this elegant piece of stylish furniture with its beautifully carved headboard and matching foot board would grace any period style bedroom interior. 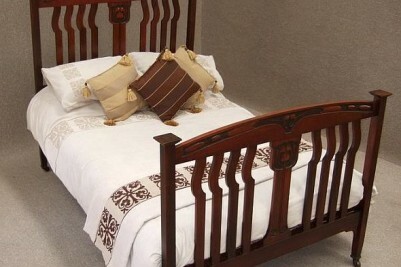 It comes complete with traditional folding sprung bed base, so all that is required is a standard double mattress. 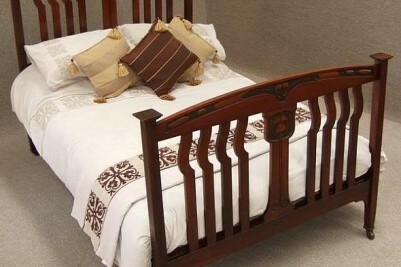 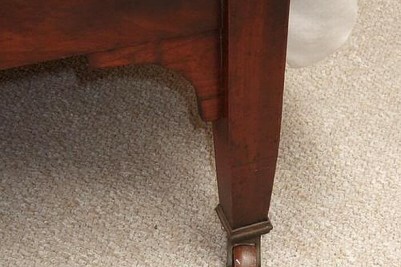 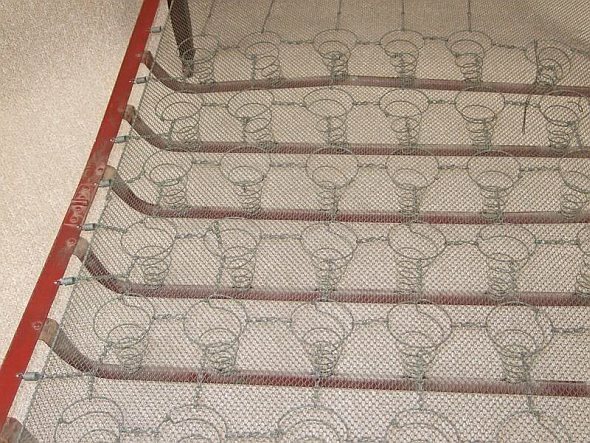 The bed dismantles for ease of transportation and reassembly, and is in excellent condition for a bed of this age. 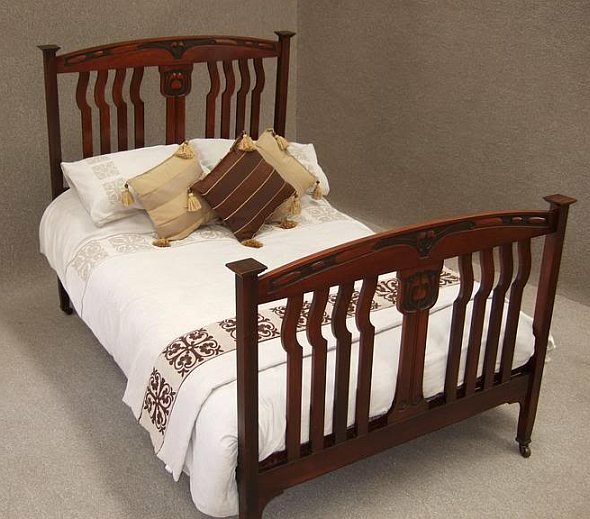 Our delivery prices include delivery to mainland England and Wales. 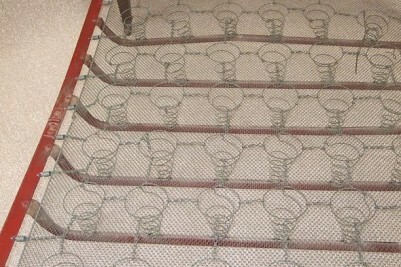 Please email us for a quote if you live outside of these areas.